From the makers of great restaurants like Tokyo Café, Peri-Peri Chicken and Kogi Bulgogi, CEO of iFoods Inc.Mr. Bryan Tiu, introduces another brand Stackers Burger Café with a healthy touch! Craving for burgers at the wee hours and don't want to settle for fast food? Stackers is the place to go. I love the juicyness of the patty though the bacon is a bit dry. But still taste great. Stackers is more than just burgers. 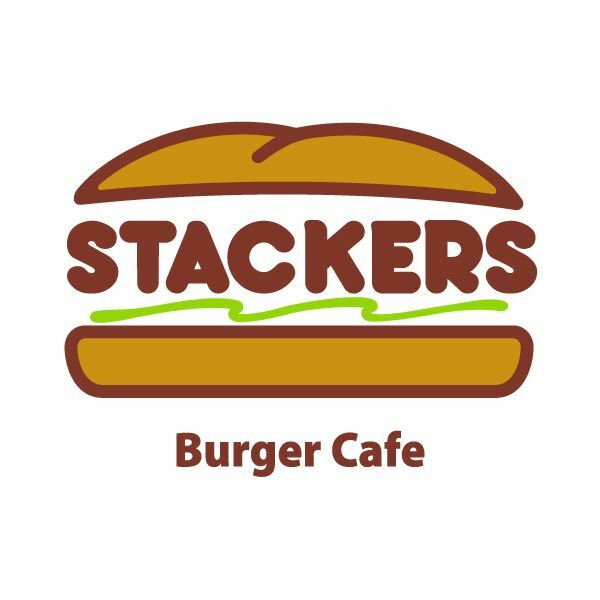 Stackers also offers a delicious selection of healthy salads, smashing sides, pressure fried crispy chicken, killer milkshakes and floats, sundaes and great coffee. Stackers Burger Café proudly presents their Baked Fried Chicken which gives you the same satisfaction that you would get from regular fried chicken – just in a much healthier and less oily manner. Original Baked Chicken Goodness available in all their branches. With 80% less oil, it’s lighter and healthier yet crispier and juicier than the regular fast food fried chicken. This one's latest innovation on chicken for healthy eating! This Stackers Burger Cafe serves healthier and lighter than regular fried chicken. It has less oil, yet still preserves the flavor and juice of the chicken. Its meat is still as tender as that of regular fried chicken. Its skin is still as crispy as that of regular fried chicken. iFoods Inc.’s Stackers Burger Café is now open for franchising to enable entrepreneurial Filipinos to be a part of this pioneering and innovative brand and its outstanding value offerings.